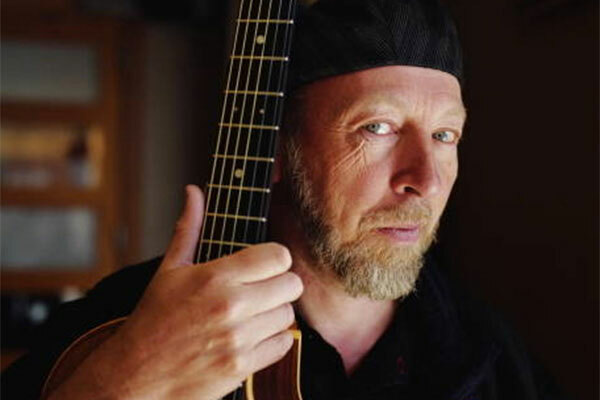 Named by Rolling Stone Magazine as one of the Top 20 Guitarists of All Time, Richard Thompson is also one of the world’s most critically acclaimed and prolific songwriters. He has received Lifetime Achievement Awards for Songwriting on both sides of the Atlantic – from the Americana Music Association in Nashville to Britain’s BBC Awards and the prestigious Ivor Novello. In 2011, Thompson was the recipient of the OBE (Order of the British Empire) personally bestowed upon him by Queen Elizabeth II at Buckingham Palace. Most recently, the Americana Music Honors & Awards nominated him for “Artist of the Year”. Having co-founded the groundbreaking group Fairport Convention as a teenager in the 60’s, Richard Thompson and his mates virtually invented British Folk Rock. By the age of 21 he left the band to pursue his own career, followed by a decade long musical partnership with his then-wife Linda, to over 30 years as a highly successful solo artist. A wide range of musicians have recorded Thompson’s music including Robert Plant, Elvis Costello, REM, Del McCoury, Bonnie Raitt, Los Lobos, David Byrne, Don Henley and many others. This year saw Richard Thompson headlining dates around the world as well as co-headlining shows with Emmylou Harris & Rodney Crowell. Thompson and his band joined the Americanarama Tour sharing the stage with Bob Dylan, Wilco, and My Morning Jacket culminating with Dylan himself covering RT’s classic song “’1952 Vincent Black Lightening”.